Chewable tablets for the treatment & control of roundworm, hookworm, whipworm and tapeworm (including Hydatid and Taenia ovis tapeworm. 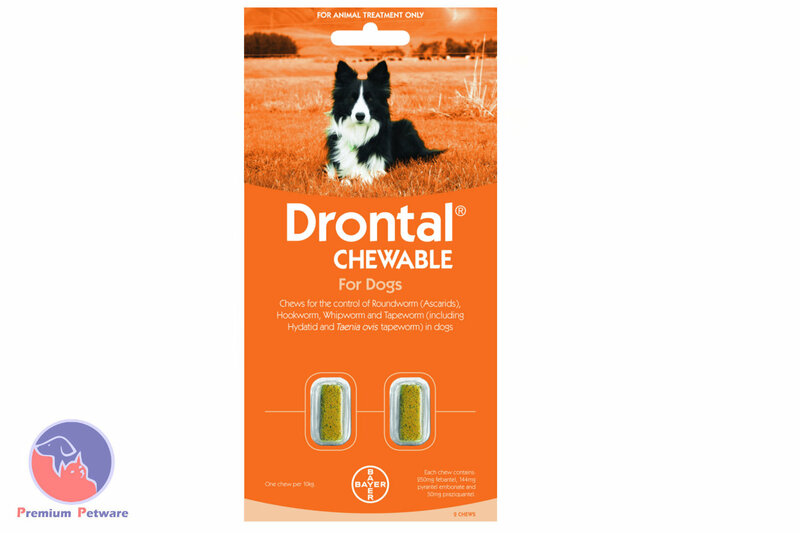 Protect your dog from worms with Drontal chewable tablets. This highly palatable design makes it very easy to dose your dog. Dogs should be wormed every 3 months. For larger dogs use the 35kg chewables for large dogs.